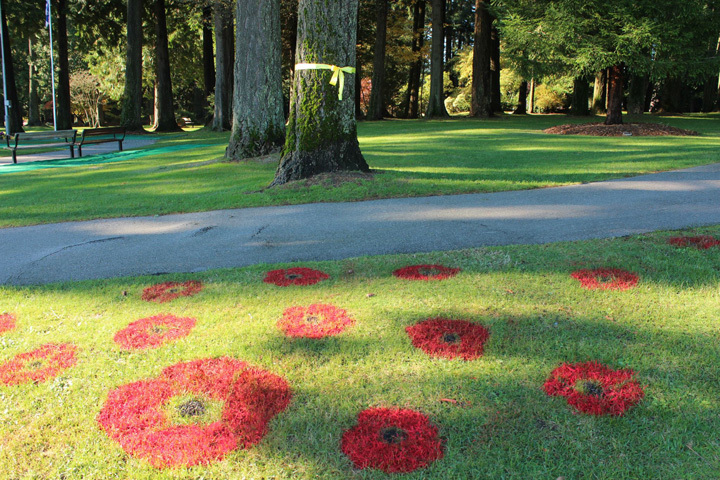 I heard about the poppy painting through social media via the City of Coquitlam (Canada). 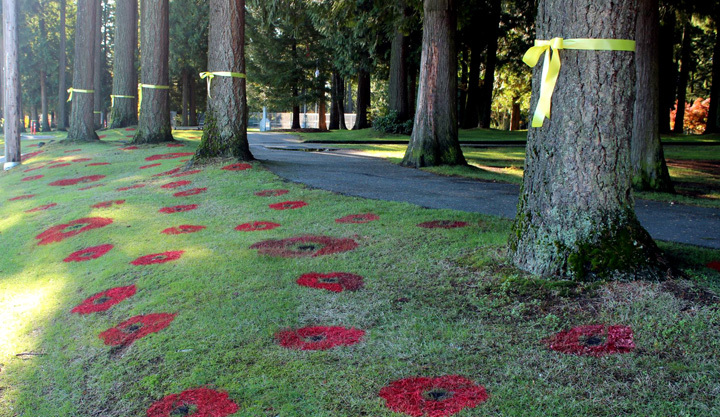 A few photos is all it took, along with a gorgeous sunny fall day yesterday to run out and find Blue Mountain Park in upper Coquitlam to take some photos of a community based participatory exhibit (Parkspark) that took place over the past week and will be featured today, Remembrance Day 2014. Finding Blue Mountain Park was a delight in itself as it’s a beautiful park with solid old trees, concrete art sculptures and the only veteran memorial cenotaph in the City. What a delight to see the poppies first hand and although I came late, a couple City workers were still on site and I was able to paint my own poppy. 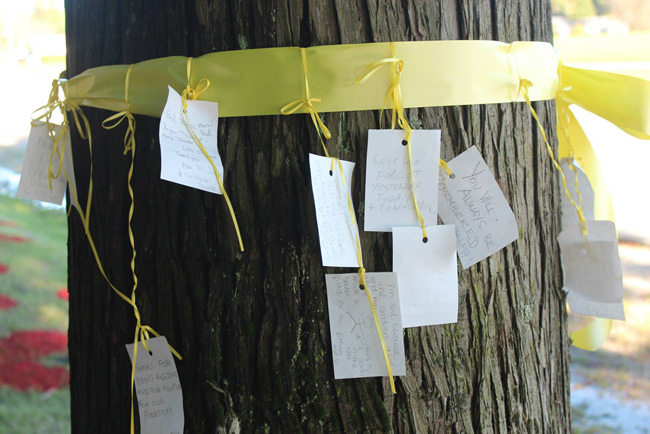 I was moved by the notes that school children and others placed upon yellow ribbons tied to the many trees along the park on Porter Street. Poppies were also planted by school children. Today there will be a memorial ceremony to remember those that died for our country. It makes me proud that the famous poem, “In Flanders Field” was written by a Canadian. It has a haunting sound when spoken or read and brings back childhood memories of reading it each year in school.